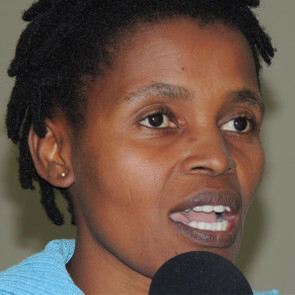 Nonhle Mbuthuma is a WHRD who fights for land and environmental rights in South Africa's Eastern Cape. In 2007 Nonhle founded the Amadiba Crisis Committee (ACC) to unite community members in five villages of the Amadiba Tribal Authority region to work together in opposition to destructive mining projects. She is now the most visible leader of the campaign against the Australian corporation Mineral Commodities Mineral Ltd (MRC). A crucial link between the indigenous community and the ACC’s legal team, Nonhle also engages the community in farming and food security workshops and has launched such projects in local schools. 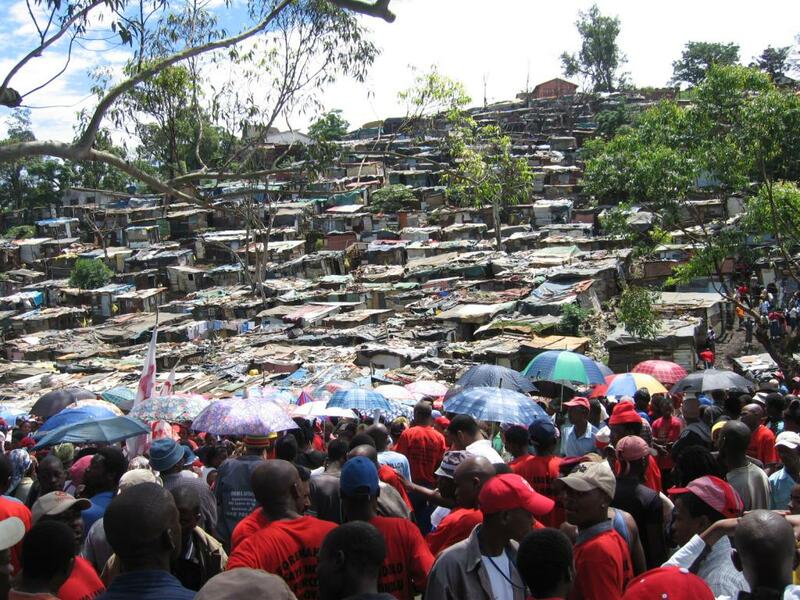 Due to her work rejecting mining and promoting alternative means of economic development, Nonhle has been slandered as “anti-development.” In 2008, Nonhle survived an assassination attempt. In the past years, the defender reported constant death threats and warnings, which have escalated since 2015 when the entire coastal community organised itself against an open-cast mine planned for the Amadiba coast. On 22 March 2016, Nonhle's colleague and chair of the ACC, Sikhosiphi Bazooka Rhadebe, was killed, shortly after telling Nonhle and another colleague, Mzamo Dlamini, that he was number one on a hit list and they were numbers two and three. The crime remains in impunity. Today, Nonhle is still facing continuous and credible death threats. The Republic of South Africa voted for the adoption of the resolution on the protection of human rights defenders (HRDs) by the United Nations General Assembly on December 18th 2015. Nevertheless, HRDs face threats, intimidation, harassment, and physical attacks, sometimes resulting in death, by private individuals and members of the police force. This is especially true for those human rights defenders working on corporate accountability and the impact of extractive industries on local people and the environment. Moreover, suspected perpetrators often go unpunished. There is overwhelming impunity for those who violate the rights of human rights defenders.